MetroRock offers state-of-the-art indoor rock climbing centers that provide a professional, safe, and fun climbing atmosphere that is welcoming to all levels of climbers and non-climbers. They are proud to offer youth climbing programs to the next generation of climbers, and were proud to be the first and only rock climbing center for the Banneker Adventure Club. The mission of Community Boating, Inc., is the advancement of sailing for all by minimizing economic and physical obstacles to sailing. In addition, CBI enhances the greater Boston community by using sailing as a vehicle to empower its members to develop independence and self-confidence, improve communication, foster teamwork, and acquire a deeper understanding of community spirit and the power of volunteerism. Sweet Meadow Farms specialize in horseback riding lessons and year-round riding programs for young children all the way to advanced riders of all ages. they equestrian programs are run by experienced and certified instructors, in they indoor riding arena -- sheltered from the outdoor elements. We invite you to watch ythey child’s riding lesson from they heated and air-conditioned viewing room. Since 1968, Youth Enrichment Services (YESKids) have provided activities at low cost for the urban communities around Boston. The Banneker has partnered with YESKids since 2007 to provide transportation, equipment, lift tickets, and instruction for our skiers and snowboarders. In 2010, they have expanded their role in our Adventure Club to include mountain biking and cross-country skiing. The mission of the Cambridge Family YMCA is to promote and inspire life-long development for children, adults and families through programs that build healthy spirit, mind, and body for all. 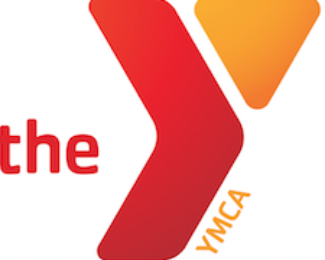 The Y achieves this through a broad range of activities that serve a community rich in racial, religious, ethnic, and economic diversity. Their swimming instructors worked with our students on swimming skills. In the future we hope to expand this partnership to promote this all-too-important life skill- swimming. Imagine a seemingly endless sea of trampolines, all connected to form one massive trampoline surface. Now, imagine that surface enclosed with angled trampolines that allow you to literally bounce off the walls! These patented, all-trampoline, walled playing courts are the foundation of Sky Zone Indoor Trampoline Park. But beyond the unique courts, Sky Zone is the Ultimate 3-D Play Experience and unmatched high-flyin' FUN. Sky Zone is enjoyed by just about any age, shape or physical ability on a regular basis. From open jump, 3-D Dodgeball and SkyRobics fitness classes to birthday party packages, group events and corporate team building outings, there is truly something for everyone!